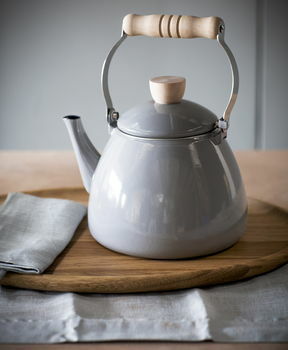 A dark grey enamel stove kettle. 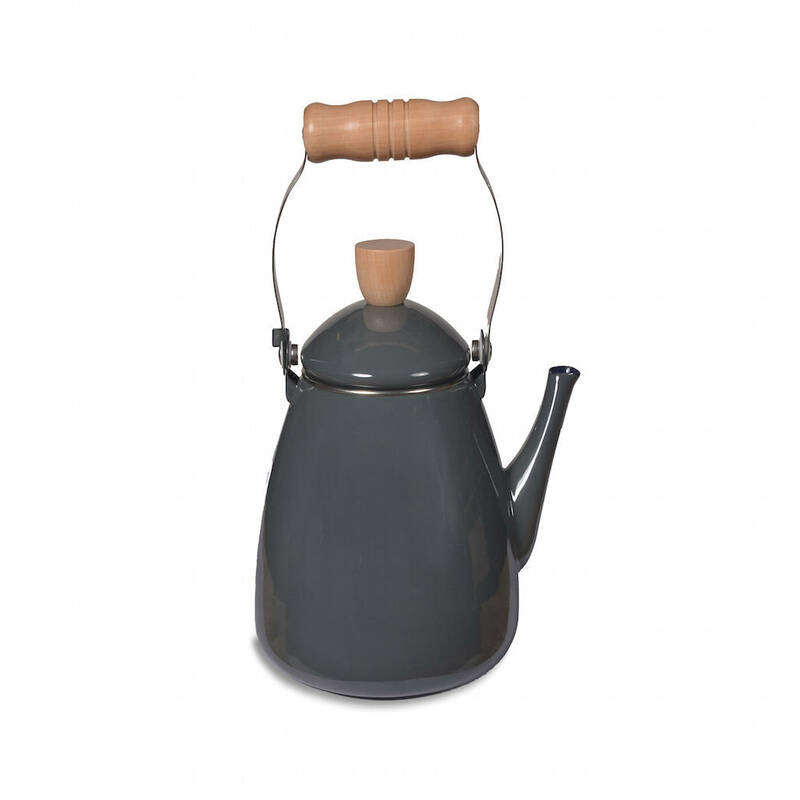 This is a really gorgeous enamel stove kettle in dark charcoal grey. It will add a lovely rustic, yet funky feel to any kitchen and will always look striking sitting on your hob. It looks great in period and contempary homes , just being a must have piece! Would also make a great gift for a special friend.